Our designer ceramic dog bowls are not only handmade to order but they can also be personalised with your dog's name and they are made exclusively for Chelsea Dogs. Our lovely potter also makes special spaniel dog bowls to keep those long ears from getting full of food and water. We have a range of patterns and colours for you to choose from so you can either order a complete matching set or you can mix and match the colours and patterns however you like! Designer ceramic dog bowls are great for all breeds of dogs especially those who tend to push their bowl around the room when eating. Made from the finest materials here in the UK, our ceramic dog bowls are much heavier than stainless steel or plastic dog bowls so will stay put in position. Suitable for both food and water, these designer dog bowls are easy to clean too by simply popping them in the dishwasher. 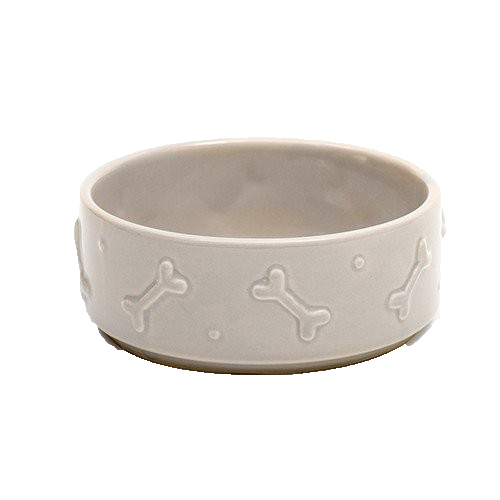 At Chelsea Dogs, we have a range of ceramic dog bowls that are made exclusively for us in the UK. They come in many different patterns and colours including paw prints, stripes and spots. We can also personalise your dog bowl with your dog’s name around the base of the terracotta dog bowl for that extra special touch. Some of our other designer dog bowls can even be custom painted with any breed of dog (or cat!) from a photograph of your own dog!